Alexandra residents hopeful of change after President's visit - SABC News - Breaking news, special reports, world, business, sport coverage of all South African current events. Africa's news leader. President Cyril Ramaphosa has visited the Sassa office on Thursday. Residents of Alexandra north of Johannesburg are hopeful that their daily frustrations at the local offices of the South African Social Security Agency (Sassa) will finally be adequately addressed following President Cyril Ramaphosa‘s intervention. 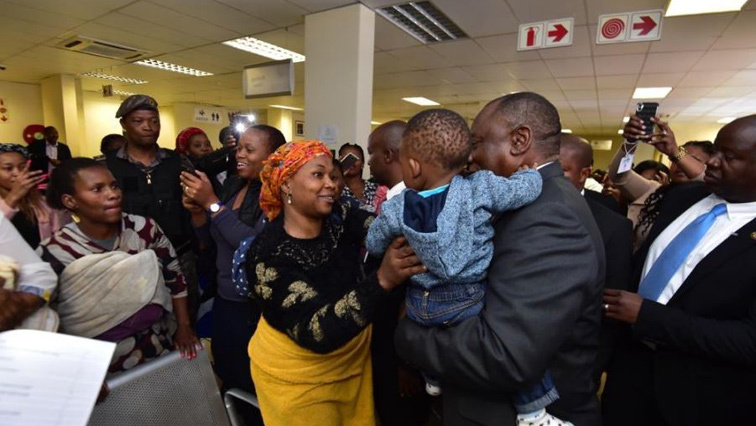 The President paid a surprise visit to the Sassa offices earlier on Thursday. He was accompanied by Social Development Minister Susan Shabangu. Hundreds of residents complained about poor service delivery which they said was coupled with a bad attitude from staff members. Residents say toilets are not working and there is a shortage of personnel to help them. This entry was posted on 08 Nov 2018,04:40PM at 4:40 PM and is filed under South Africa, Homepage Latest Stories Slider. You can follow any responses to this entry through the RSS 2.0 feed. Both comments and pings are currently closed.